Was in the partnership of Coleman & Putnam with F.H. Putnam in 1856. Silversmith and watchmaker. One of a number of businesses affiliated with Albert Coles. Acquired by George W. Shiebler. Albert Coles was established in the year 1835 in New York and was later changed its name to Albert Coles & Co in 1851. In the year 1877, the business was sold to Montgomery & Co then again to George Shiebler in the year 1883. 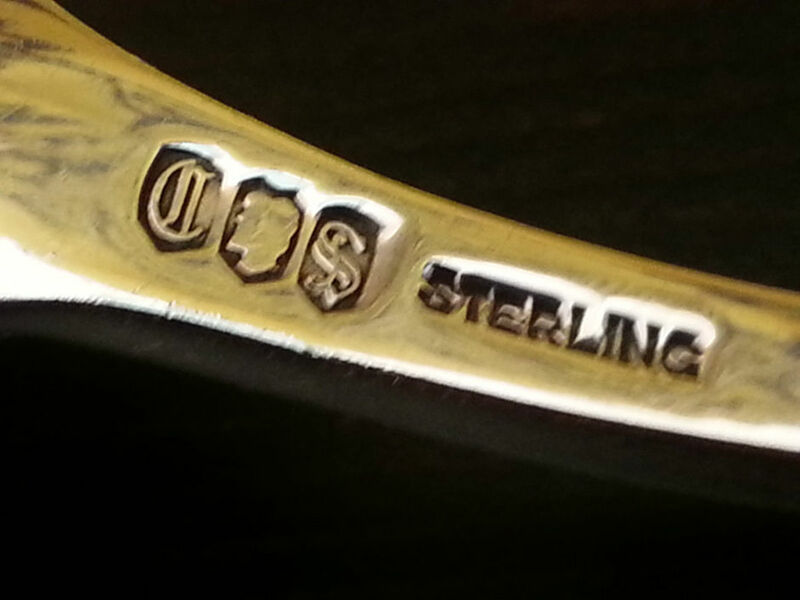 Makers of sterling (92.5% Silver) and coin (80 - 90%) silver flatware and novelties. In the partnerships Shipp & Collins with S.A.M. Shipp 1825-1834 and later Hazen & Collins with Nathan L. Hazen 1843-1847. Was a member of the firm of Colton & Collins 1825-1835. Concord Silversmiths was founded in the year 1925 in Concord, New Hampshire. The original name was Concord Silver Co. It manufactures both sterling flatware and hollow-ware. After operating for 14 years, the company went bankrupt. In the year 1939, the company was reorganized and renamed Concord Silversmiths Ltd. The company was later Acquired by the Ellmore Silver Co. around 1939 - 1940. Proprietor of The Silversmith's Shop. Modernist studio jeweler. In the partnership of Loomis & Conery 1859-1860 with Warham P. Loomis. In the partnerships of Eoff & Connor with Garret Eoff 1832-1834. Was in the partnership of Bear & Conrad with his brother-in-law Jehu W. Bear 1846-1847 and 1848-1851. A short lived branch of the business was operated in Luray, VA c. 1846 and another was opened in Charlottesville, VA, in 1847. Conrad was a partner in the firm of Conrad, Gordon & Bear 1856-1857 and Conrad & Martz with B.F. Martz 1857-1858. A line of sterling handled flatware made by Reed & Barton. George W. Cook and Robert Simpson. Benjamin E. Cook and son Benjamin E. Cook. Silversmith and jeweler. In partnerships of Storrs & Cook with Nathan Storrs 1828-1833 and later the partnership of B.E. Cook & Son 1858-1900. 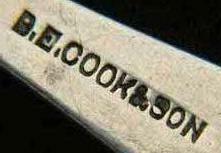 Was in the partnership of Cook & Booth in Rochester, NY 1838-1850. Was then in the partnership of Cook & Stillwell with Mortimer F. Stillwell in Rochester, NY 1847-1859. Silversmith and watchmaker. Was a partner with Robert Simpson in the firm of Cook & Simpson in 1866. Evans & Cook. Evans retired in 1869 and Cook continued on his own. Silversmith, watchmaker, and jeweler. 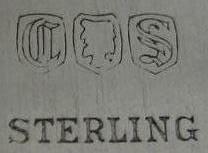 Was in the firm of Storrs & Cooley 1831-1839 and then Tanner & Cooley with Perry G. Tanner 1840-1842. Francis W. Cooper and Richard Fisher. Brothers William and Archibald Cooper. Opened a retail store in Frankfort, KY in 1842. In the partnership of Cooper & Fisher with Richard Fisher 1854-1862. Well known for his ecclesiastical silver work. Highly regarded silversmith, best known for her enamel work on silver and medieval styled designs. Was in the partnership of Franklin & Cordell with Thomas Franklin in 1822.